SL10BCC: Get ready! It’s almost time to start the celebrations! Sunday 16th June will see celebrations commence across the SL10B Community Celebration regions – 20 sims packed with exhibits, stages, galleries and more – all for you to enjoy. From the 16th through to the 23rd, there will be entertainment going on right across the regions, including the huge set-piece stages such as A’stra (already very much a feature of this blog!) and the amazing birthday cake. Given this is SL’s 10th birthday, there are some special pieces to see and enjoy as well – such as the History Walk, which brings you the entire story of Second Life from those “pre-history” years on the late 1990s and early 2000’s right through to today, allowing you to look back over Second Life’s past, and perhaps recall with a smile memorable events you can recall for yourself. As well as the main celebration regions, you can also tour Bear Island, a traditional aspect of SL birthday events, and – especially for this year – you can pay a visit to the Corn Field, SL’s original Sin Bin, where miscreants would once sent to ponder on their ill deeds. For the complete entertainment schedule for the week of celebrations, please check-out the SL10BCC Event Schedule – there is going to be something going on 24/7 right up until the celebrations come to an end on the 23rd June! SL10BCC is HUGE, so much so that gathering everyone together in a single group of regions to join in an opening ceremony wasn’t ever going to be easy. And when we have TWENTY regions available, why should we try cramming everyone into just four? 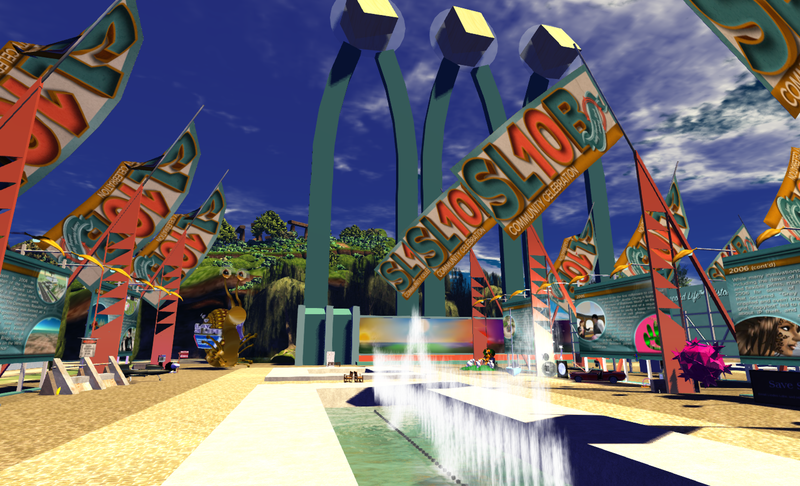 So, to mark the start of the 10th anniversary parties for Second Life, there will be a simple opening ceremony across all 20 regions of SL10BCC – giving you plenty of time to locate a suitable vantage-point to witness the event. At 13:00 SLT (1:00pm), the SL10BCC flags will be raised right across all 20 regions, symbolising the official opening of the celebrations. All of the flags will remain flying until celebrations come to an end on Sunday June 23rd. Raising and lowering a flag is a very simple ceremony, but an important one. It marks the beginning and end of the Olympics and other special events; in some countries, the raising and lowering of a flag might mark the beginning and end of a school day. 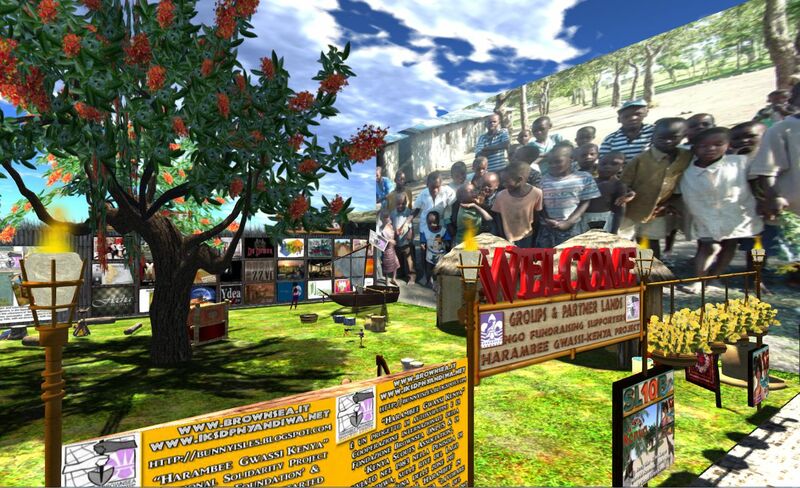 In Second Life, doing this on as many sims as possible, all at the same time, means that as many people can attend as possible — and it is symbolic of the way so many people in so many countries can come together in Second Life and share the experience. So we will all share the experience of seeing the flags rise. You can choose your own vantage point, as you can see a group of flags from almost everywhere. You’ll find them positioned near the edge of sims – and we’ll be posting a full list of locations soon both to the groups and on the blog. We hope you will be able to join in this very special Opening. In the meantime, here’s a little something from Kool and the Gang to get us in the mood. 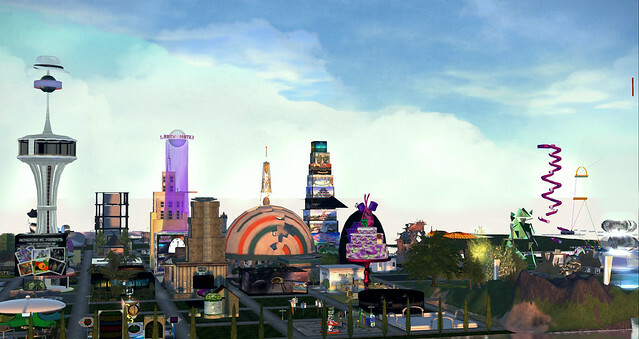 I don’t want to dampen anyone’s spirits, but the inevitable reality is that “if you build it and they come” – then you’re going to have lag issues in Second Life. Put 40-50 avatars together in the same region and lag will be looking over everyone’s shoulder. A lot has been written about lag, and there are a lot of myths and half truths. There is much that can occur server-side which can lead to lag issues. 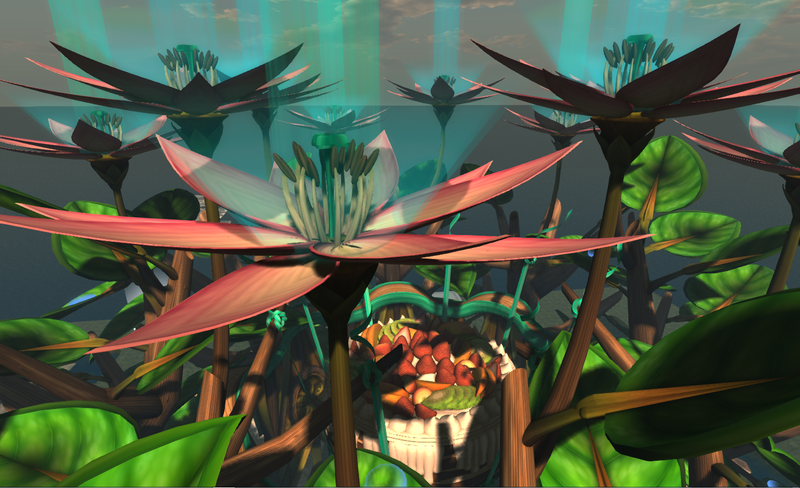 With the assistance of Linden Lab, the core organising team has done as much as possible to minimise these issues, and will be working throughout the week to do the same – regions will be restarted daily and they will be continuously monitored, etc. However, a good deal of lag users experience isn’t down to the server-side of things – it comes from the client-end of Second Life. To try to alleviate matters a guide on combating lag has been put together, and we do ask that those attending SL10BCC read it, and follow the advice given within it in order for everyone to have a more enjoyable experience when joining-in the celebrations.